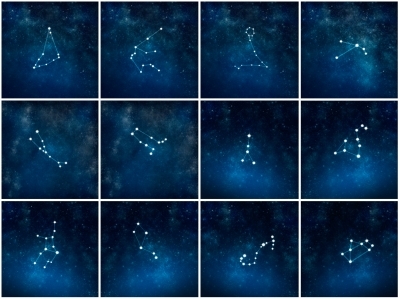 Astrology is enlightening and exciting and something that many people use to find out more about their future. The invention of smartphone apps has made it all the easier for us to access astrology on the go and from tarot card readings to daily horoscopes there are apps for every element. Here are our top ten for both Android and iPhone. This app is a little bit special because, not only does it offer you birth charts, daily readings and everything you would expect from an app, it also goes that little bit further. This app allows you to ask real astrologers your most pressing questions about your future and they will answer honestly and accurately. It is also so easy to access and completely free! Each morning do you get up and wonder what love, work and more have in store for you? If you download the luck horoscope app you can check on your fate day by day. The app gives advice on the things in daily life that you are most worried about. This app helps you to focus on the aspects of your life that really matter. If you want an app that has a famous name behind it then this is the one for you. Susan Miller is a famous astrologer with years of success and experience behind her. She covers everything from love life, stress reduction guidance to holiday tips and by the rating on the iTunes site, most people who have bought it have been very happy with it! Using this application users can view their daily power numbers, celebrities born on a certain date, and various predictions for love, emotions, creativity, intuition and more! With a clean and well put together interface this is a must for any keen astrology fan with a penchant for what their love life may hold. This app is based on numerology and tarot reading and will tell you anything from your future as near as tomorrow to as far away as the next few years. Its graphics are clear and crisp and will help you make decisions about your future with the information it provides you with. For a more light-hearted approach why not take a look at wine signs. If you are going out to a dinner party with friends or a host that loves astrology then you can use this app to predict what types of wine people from different star signs enjoy drinking! One of the pricier apps available at the Apple iTunes store but one that is also packed with a huge range of features. It offers charts of all types and uses many versions of astrology so whatever you believe in, you will find it here. It is colourful, very easy to use and can calculate readings based on any location in the world. Get a fast Tarot reading wherever you are without carrying round a set of cards. The app allows you to have customised card readings, with nine layouts available, it also allows you to save your readings, and you can even email a copy of your tarot reading to your personal email when you are done. With a rating of 4 out of 5 stars on the app store, it makes it one of the best Tarot card apps going! This post comes to you from the bloggers at The MirrorÂ writing about all things to do with horoscopes and astrology. Please check following iOs application for real time horoscope by a person. AskAstrologer helps you to solve most complicated problems of your life using the Horary Astrology. There are many sources available which provides day to day horoscope and predictions but it may not specifically answers your questions or even does not refer to your situation. You can share any problem of your life with AskAstrologer and we will try to help each case individually using the Horary Astrology. AskAstrologer is not an automated system and each case will be reviewed manually by our “Horary Astrology Expert” so it may take sometime to get back to you with satisfactory answer. We do not guarantee accuracy of prediction provided by our experts but we will try our best to provide help to each case.